I don't always take time to sew for myself. Mostly because I don't enjoy it as much. Maybe your are like me. Or maybe you are one of the awesome people in the world who love to sew for themselves. I'm not 100% sure why I don't enjoy sewing for myself as much. Maybe because it takes more fabric and a little more time. I can whip up a kids raglan top or a simple Easter dress in no time. I guess I just don't have the patience to make adult clothes. 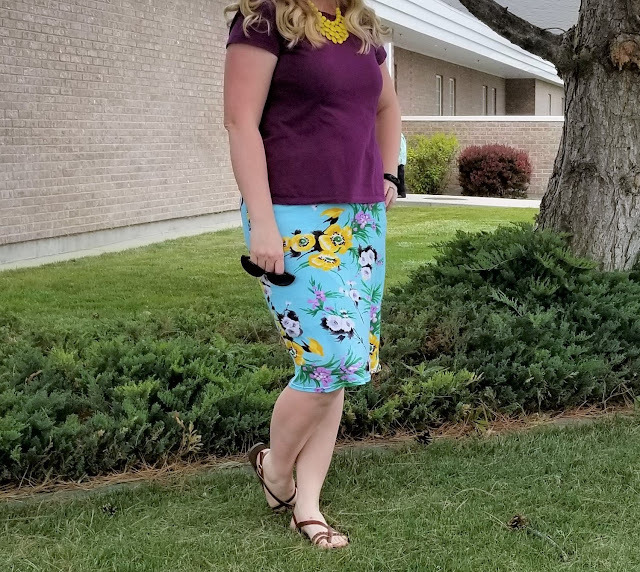 That being said, I really love a good pencil skirt pattern. One reason, it takes no time at all to whip one up and you can make them to go with solids, florals, stripes, you name it. 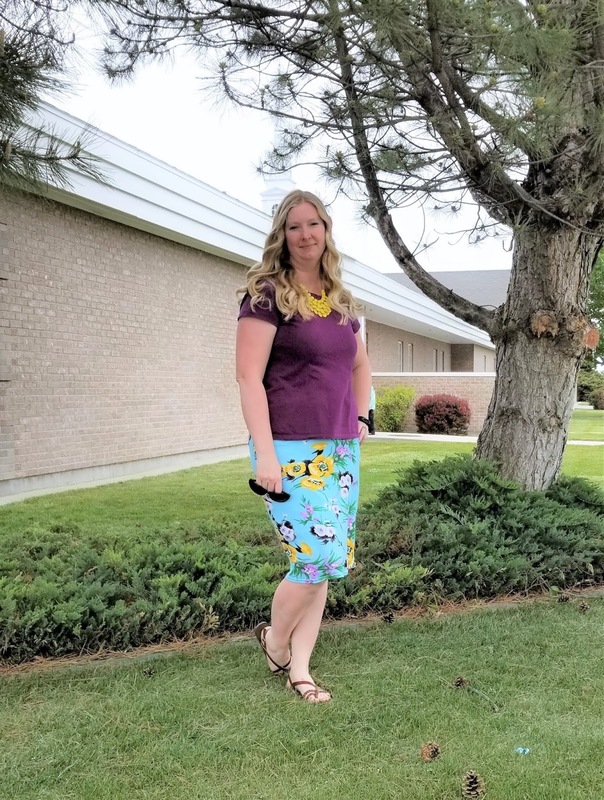 Pencil skirts can be fancy and formal or casual and simple. Maybe that is why they are so popular in the work place. Either way, they are a great addition to the wardrobe. This pencil skirt pattern can be customized to your own body shape. 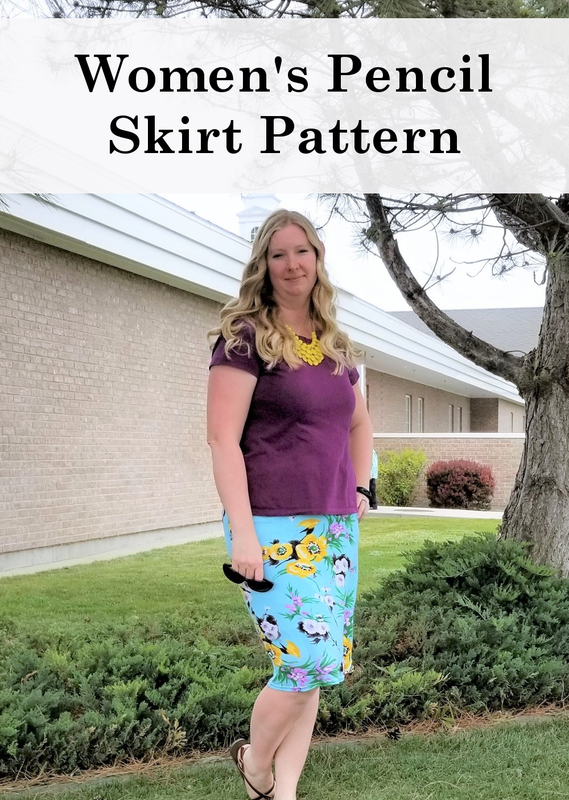 It is made with a lightweight to medium weight knit fabric which helps it to fit the body nicely but also be very comfortable. To start you'll want to get some of your own measurements. So grab that measurement tape of yours and let's measure. 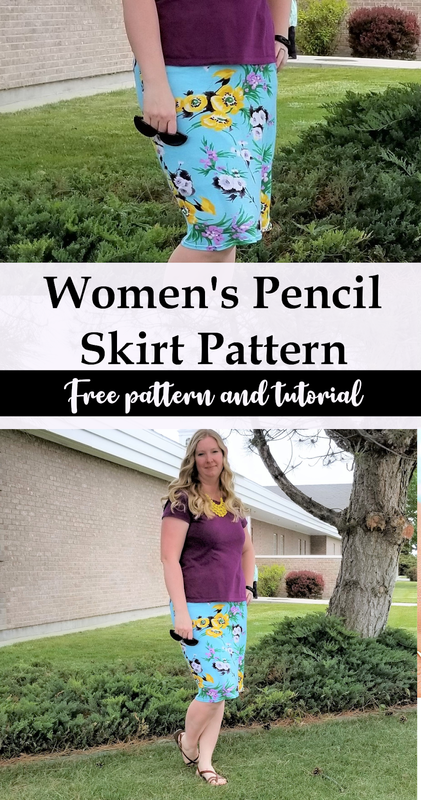 Now you have your pencil skirt pattern pieces. You are ready to sew. Fold the waistband in half matching short sides. Stitch down the short side. 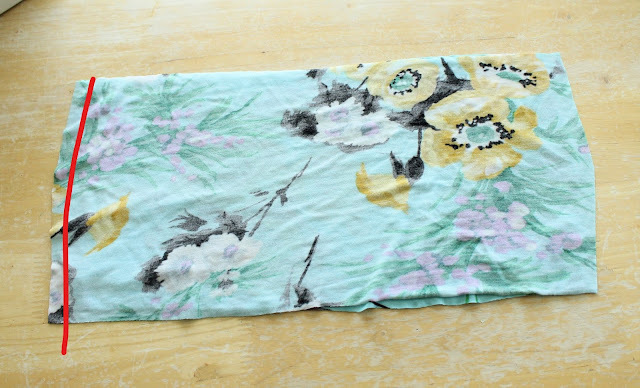 Fold the waistband in half, matching the wrong sides of the fabric. You should have a circle band now. Set aside. 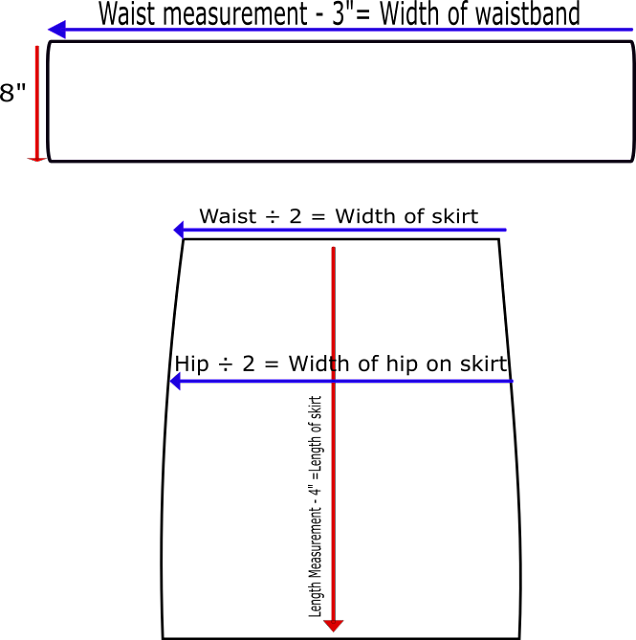 With Right Sides Together (RST), place the skirt front and skirt back on a flat surface. 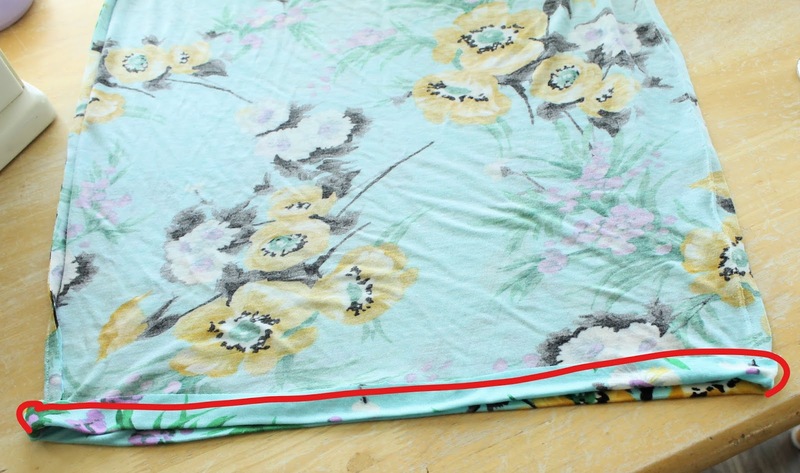 Stitch down the two side seams. Press. 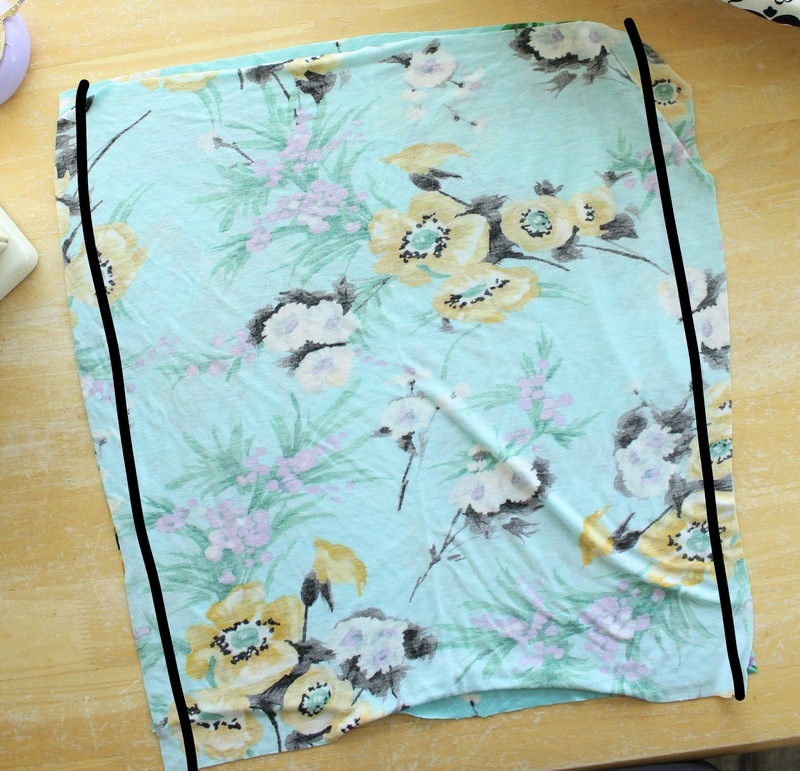 With RST, place the waistband around the top of the skirt piece. Pin in place. 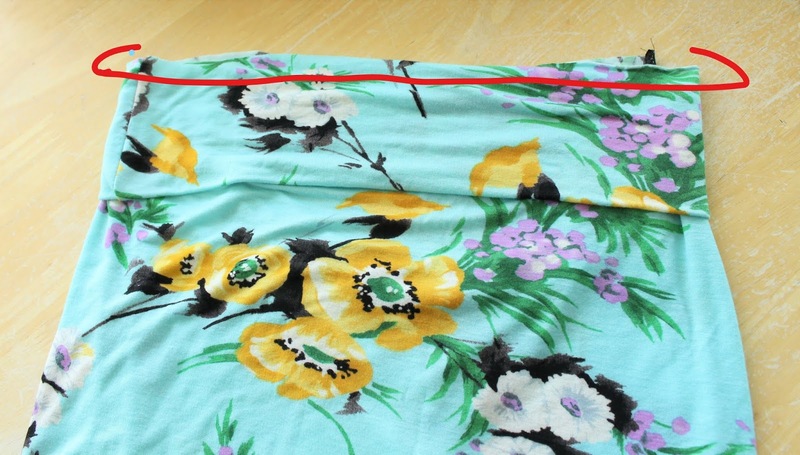 Stitch waistband to skirt. You may need to stretch your waistband as you go a little. Press. If you want, you can topstitch around your waistband at the seam. I did not. 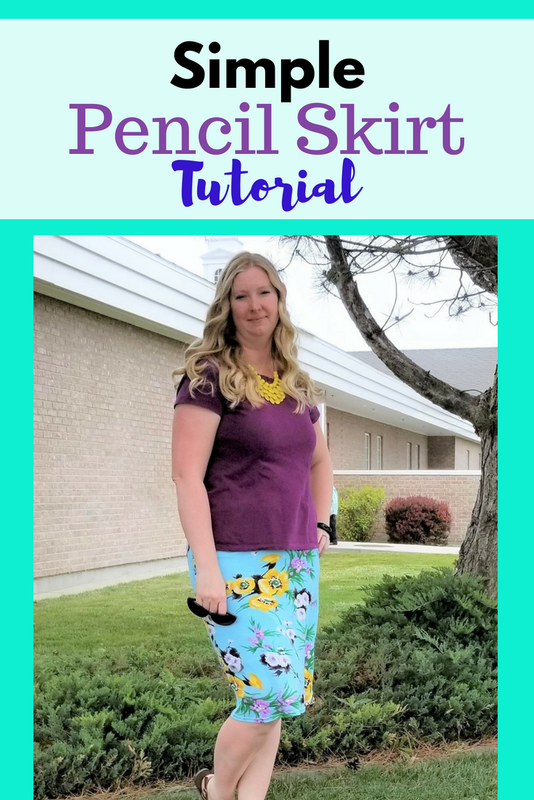 Fold the hem of the skirt to the wrong side of the fabric 1". Press. Stitch hem in place. That's it! You are done. See how quick and easy that is. You can easily make several of these awesome pencil skirts for yourself all year long.